As a business owner, checking your profit margin each month is just as important as checking your business plan. We continually check both to make sure our monthly expenses are on track with our desired income for the year. Correct? Therefore, the question is; Could you be holding your business back from being more successful than it already is? As we’ve already discussed in Virtual Assistant Services For Business Owners; businesses cannot run effectively as a “one-man show“. 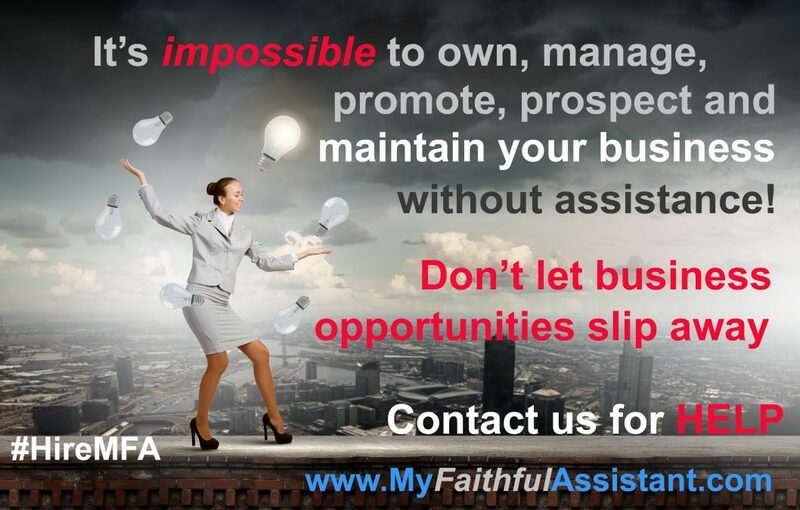 It is impossible to own, manage, promote, prospect and maintain your business without assistance. With that thought in mind then, the question now is; Have you thought about having an assistant help you with the tasks that are time consuming, or even the ones you just don’t like to do…even if you are good at them? Create a list of tasks that consume your time each month; or even each week. Create a list of tasks that you don’t like to do. Create a list of tasks that you don’t have the time to learn how to do, but need (or just want) done. When you take a look at the lists you just made, the next question to consider is; How can you not afford an assistant? From the list of tasks you just wrote down, figure up how many hours you spend each month in getting them completed. I can imagine those tasks actually add up to quite a large block of time. Time that could be available for you to focus on building your business. Now, the next step, is to figure out your “hourly rate“. When you take a look at how much YOU are costing your business, you’ll quickly come to the realization that it is VERY cost effective to hire a Virtual Assistant. Holding yourself hostage from being productive also holds your business hostage. And, ultimately, your bank account as well. We’re here to help your business grow and we’re here to do it cost effectively. We provide a One Hour FREE Consultation and a FREE estimate before any project is started. If the project can be broken down into stages in order to fit better into your budget, we’ll be happy to do that as well. Contact us for your One Hour FREE Consultation today! What hourly rate did you come up with? What type of time consuming tasks do you perform each month that actually DON’T produce any revenue for you? How many great business ideas have you had? How many great marketing ideas have you had? Have you had time to finish them, or even start them? 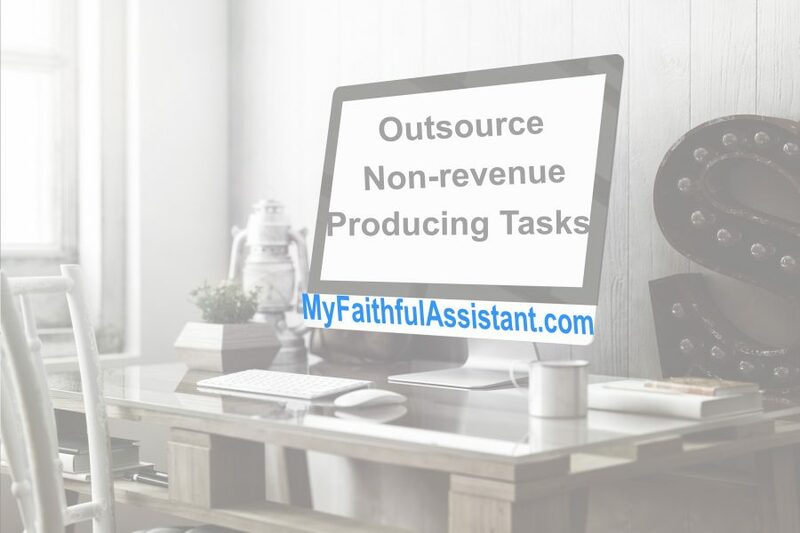 The investment you make in a Virtual Assistant, even hiring one part-time, will give back to you the time you need to focus on revenue generating tasks…or even time to take a vacation! There are many business tasks that can be outsourced to a Virtual Assistant. Services that are NON-revenue Producing Tasks. If you aren’t able to reach your goals, it’s time for a virtual assistant. If you aren’t able to prospect for new business and follow-up with your existing clients, it’s time for a virtual assistant. If you don’t have time to manage your online presence (website or social media), it’s time for a virtual assistant. If you want to finish that great business idea, or marketing idea, but don’t have the time….yes, it’s time for a virtual assistant. 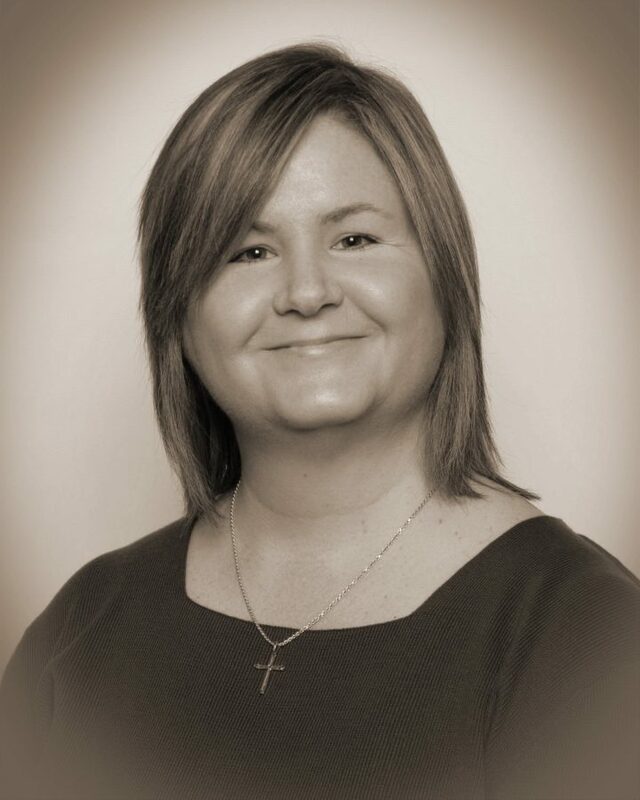 I need your virtual assistant help…….now what? We offer a One Hour FREE Consultation. To setup a consultation time that fits your needs, please Contact us. We’ll answer any questions you have, as well as, ask questions of our own. We want to make sure we thoroughly understand your business goals. Our services, which you’ll find on our home page, are not meant to be all-inclusive. If you don’t see the service you’re interested in, it doesn’t mean we don’t provide it. Feel free to ask us about your specific need. We realize your business is a reflection of who you are and what you value. Your professionalism, quality and dedication to your clients, as well as, the public will continue. Contact us and let’s make a plan to move forward together. What are some of the non-revenue producing tasks that bog you down? Do you perform them on a daily basis, weekly or monthly?